We’d love your help. 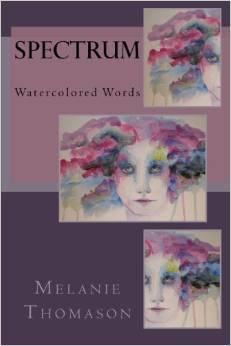 Let us know what’s wrong with this preview of Spectrum by Melanie Thomason. Our thoughts, emotions and experiences vary infinitely within each of our lifetimes. This emotionally charged collection of poetry depicts the gamut from torment, loss and death to love, whimsy and passion. To ask other readers questions about Spectrum, please sign up. Melanie Thomason survived a difficult childhood in Mississippi before striking out on her own in New Orleans, Louisiana during her early teenage years. She is currently residing in St. Petersburg, Florida with her amazing, adoring husband Brian and two adorable, yet indifferent cats Allie Cat & Macchiato. Melanie loves to read, write and play scrabble all while drinking copious amounts of coffee!